Norfund’s Board of Directors ensures that the Fund operates in accordance with the Norfund Act of 1997. The Board defines Norfund’s strategy and approves individual investments exceeding specified amounts. Other investment decisions are delegated to management. Brit Rugland has a bachelor of business administration from Eastern Michigan University. 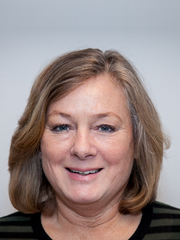 She has broad experience from both equity investments and industry, including Statoil and Vanion, and she has since 2000 been general manager of various parts of the Rugland Group. Rugland has also been in Norges Bank's Executive Board, and chaired the boards of Skanem and Gassco. Born in 1985, MSc in International Strategy and Economics from the University of St Andrews. Barwinek joined Norfund in 2013 and is an Investment Manager in the Food & Agribusiness team. He has previously worked at Verdane Capital Advisors, The Financial Times Group, and UNIDO. Born in 1950, Master’s degree in Business and Economics (siviløkonom). Jebsen is self-employed and holds extensive experience from Norwegian industry. 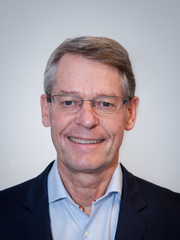 He worked for 25 years in the Orkla Group, where he was a member of the Group Executive Board since 1984 and CEO from 2001 to 2005. Extensive board experience, including Kavli Holding AS, Awilhelmsen AS, Kongsberg Gruppen and Norsk Hydro ASA. Born in 1957, Master’s degree in Business and Economics (siviløkonom). Heads the think tank Civita. Ms Clemet has extensive political experience and was Minister of Education and Research from 2001 – 2005, deputy director of the Confederation of Business Enterprise (NHO) from 1998-2001, Minister of Labour and Administration from 1989 -1990 and a member of the Storting (parliament) from 1989 - 1993. Ms Clemet also has a number of other directorships. Born in 1966, Master’s degree in Business and Economics (siviløkonom). Self-employed in Skancke Consulting, advising on the design and management of sovereign wealth funds and other long-term investment vehicles. He started in the Norwegian Ministry of Finance in 1990, heading the Section for Monetary Policy and Public Finances from 1994. Director General at the Office of the Prime Minister from 2002. From 2006 to 2011 he was Director General and head of the Ministry of Finance Asset Management Department. Per Kristian Sbertoli, born 1978, Master’s degree in Political Science with an Intermediate Subject in Economics. He has a background from the Christian Democratic Party, where he has been International Secretary and political advisor in the Parliament and in the Oslo City Council. 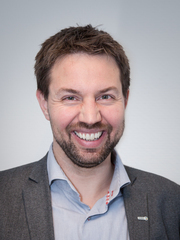 From 2010 to 2015 he was Head of Advocacy in Plan International Norway. He now works as Senior Communications Advisor in the Zero Emission Resource Organization, a not-for-profit foundation working for solutions to the global climate challenge. Tove Stuhr Sjøblom is geophysicist by training with broad leadership experience from Hydro and Statoil. She has held positions as Asset Manager for the Ormen Lange project, SVP for Statoil’s Sub-Sahara Africa assets, Managing Director of Statoil’s Aberdeen office and been a part of the Executive Committee as Chief of Staff. She is now Managing Director of The Oslo Energy Forum, and affiliate partner of Systemiq; a London based services company set up to create more sustainable economic systems. Through Systemiq, she is supporting ’The Energy Transition Commission’. 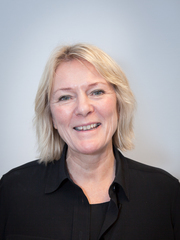 Vibeke H. Madsen is educated as radiograph and has extensive management experience from commercial and non-commercial activities . Since 2002 until today, Madsen has built and led Virke, the Enterprise Federation of Norway. Before this, she worked for PA Consulting Group and she was director in Statoil Marketing. In Statoil Marketing she was responsible for Business Support and for several re-organisation processes. 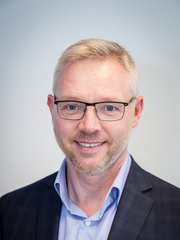 Madsen has had a number of directorships, among others in Kværner ASA, Forskningsrådet, Aker Solutions ASA og Storebrand.